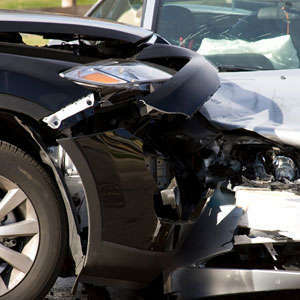 Following a crash, many car crash victims will not receive the compensation they need through insurance claims alone. Recent changes in insurance law have affected victims’ rights to file personal injury lawsuits, but our attorneys have decades of combined experience handling automobile accident claims and have the ability to adapt our practice to changes in insurance law. Under current laws, your ability to take legal action will hinge on the severity of your injury. At Morgan & Morgan’s Daytona Beach office, our car crash attorneys understand which pieces of evidence will be vital in demonstrating the gravity of your injury and proving that you have the right to pursue additional compensation through a personal injury lawsuit. If you or a loved one has been injured in a motor vehicle, truck, or motorcycle wrecks, our attorneys may be able to help. To contact us today regarding your crash, please complete our free case review form. Florida has made changes to its insurance laws to reduce the number of crash-related lawsuits and to lower insurance rates. Automobile wreck victims must meet an “injury threshold” to be eligible to pursue additional compensation through a personal injury lawsuit. Injuries which meet this threshold include paralysis, brain damage, significant head injuries, permanent scarring and disfigurement, or fractured bones. If your lawyer cannot prove your injury meets this threshold, you may not be able to file a lawsuit for additional compensation. An immediate evaluation by a physician, in addition to further testing and monitoring at the hospital, can be vital in proving that your injury is severe enough to warrant legal action under Florida’s insurance laws. The information documented in this evaluation can be crucial to the success of your case and the amount of compensation you may be able to recover. Following this initial evaluation, you should contact a car accident attorney to learn more about your legal options. It is important that you do not discuss the wreck or your injury with anyone other than your physician and attorney. Anything you say can be used against you during future negotiations and litigation. Your attorney will handle all discussions concerning the case on your behalf. In many cases, it is unlikely that your PIP benefits will cover the cost of all damages you have incurred. An attorney can help ensure you recover the maximum amount of benefits available to you and determine whether your injury is severe enough to warrant a lawsuit for additional compensation. Your attorney will launch an investigation to collect evidence that will substantiate and support your automobile accident lawsuit. During this investigation, your attorney may interview witnesses, review police reports and photographs, examine medical records, and recreate the scene of the car crash with the assistance of reconstruction experts. The information your attorney gathers will aim to show how the other party, most commonly another driver, was negligent and therefore responsible for your damages. Following his or her investigation, your attorney will construct a claim detailing the injury you have sustained, explaining how the other party was negligent, and stating the amount of compensation that you are seeking. The strength of your case will hinge on the evidence your attorney is able to include in your claim. Prior to filing your lawsuit, your attorney may attempt to reach a settlement agreement to avoid bringing the case to court. If negotiations are unsuccessful, your attorney will file your lawsuit with the court. The court will permit both sides the chance to carry out additional investigations to gather further evidence in support of their claims. During this time, your attorney may engage in another round of negotiations in a last minute attempt to avoid litigation. Should negotiations fail, your case will be tried in front of a judge or jury, who will then determine liability for the crash and the amount of compensation you may be entitled to recover, if any. As the host of Bike Week and Biketoberfest, Daytona Beach has hundreds of thousands of motorcyclists using their city’s roadways each year. Unfortunately, bikers lack the protection of four-wheel vehicles and therefore have an increased chance of suffering a fatal or serious injury in the event of a crash. In Florida, motorcyclists are not required to purchase PIP insurance and are therefore eligible to file a personal injury lawsuit, regardless of the severity of their injury. In seeking compensation for your injuries, your motorcycle attorney will collect evidence showing how the other party was negligent in the operation of their vehicle. Another driver may be considered negligent if he or she fails to pay attention to their surroundings and others on the roadway, turns left into the path of a motorcyclist, changes lanes without checking their mirrors, fails to give the biker the right of way, or operates his or her vehicle while distracted. With major interstates, including I-95 and I-4, running through Daytona Beach, thousands of commercial trucks, tractor-trailers, 18 wheelers, and semi-trucks pass through the city every day. Trucks are significantly less maneuverable, heavier, and larger than other vehicles on the road, and therefore put other drivers on Florida’s overcrowded interstates at an increased risk of serious injuries. To help ensure a safe driving environment, truck drivers and trucking companies are required to adhere to local and state regulations, as well as a set of laws passed by the Federal Motor Safety Administration regulating the operation and maintenance of trucks. If the truck’s driver, owner, manufacturer, or maintenance crew fails to adhere to these regulations, and a wreck occurs, they may be liable for any resulting damages. If you or a loved one has been injured in a crash, it is important to hire an experienced truck accident attorney. The attorneys in our handle cases on behalf of clients who sustained injuries including, but not limited to, disfigurement, lacerations, severe head trauma, spinal cord injuries, paralysis, fractures, and internal organ damage. Our attorneys also delicately handle cases involving fatal crashes, pursuing compensation on behalf of the victim’s surviving family members.